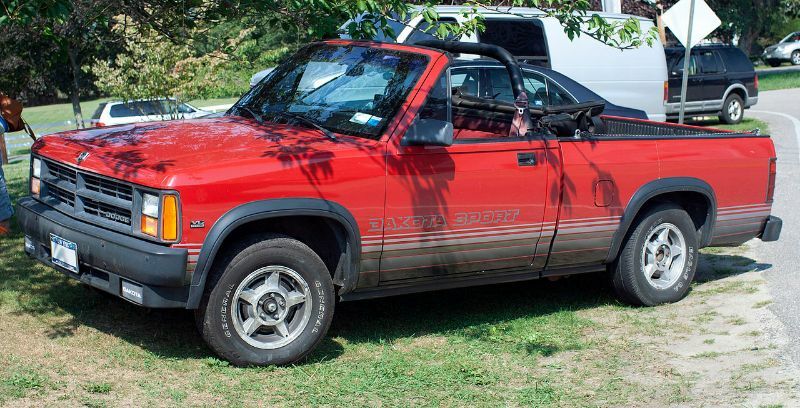 The 1989 Dodge Dakota Convertible was an unusual pickup, as only a handful of manufacturers have made convertible trucks. Overall, the Dodge Dakota was available for the 1987 to 2011 model years. 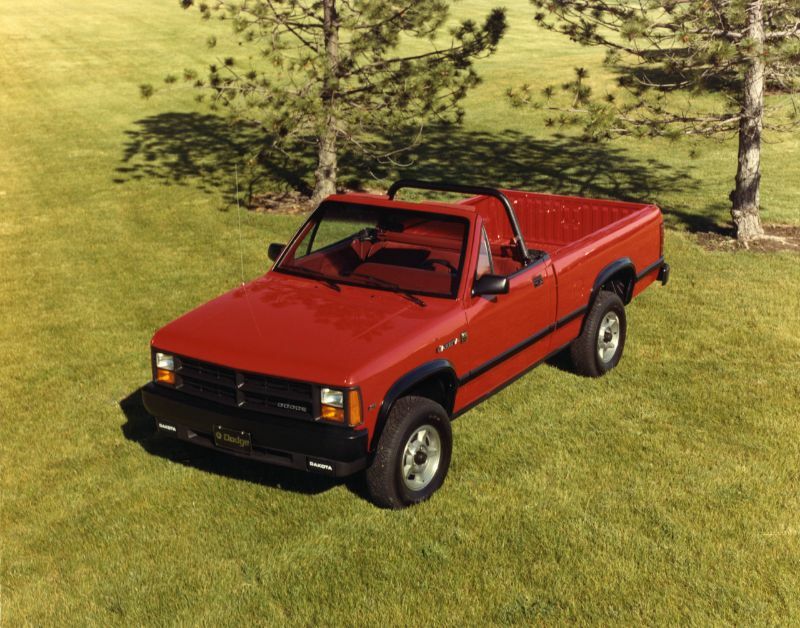 This means that the 1989 Dakota Convertible was among the earlier versions of this pickup. It is also worth noting that the convertible option did not last long. The creation of the Dakota Convertible was a deal that Chrysler and the American Sunroof Company had with ASC completing the convertible conversion. Thanks to this contract, the 1989 Dakota Convertible was the very first convertible pickup from America since the release of the Ford Model A. The idea of this convertible came from Jerry York, Chrysler’s chief financial officer, as a way to add excitement to the Dakota pickup lineup. In the first year, which was 1989, about 2,500 models were sold. By 1991, the sales had stalled enough for Dodge to call this the last model year of that particular version. Specifically, only eight models sold in 1991, with just under 1,100 selling in 1990. 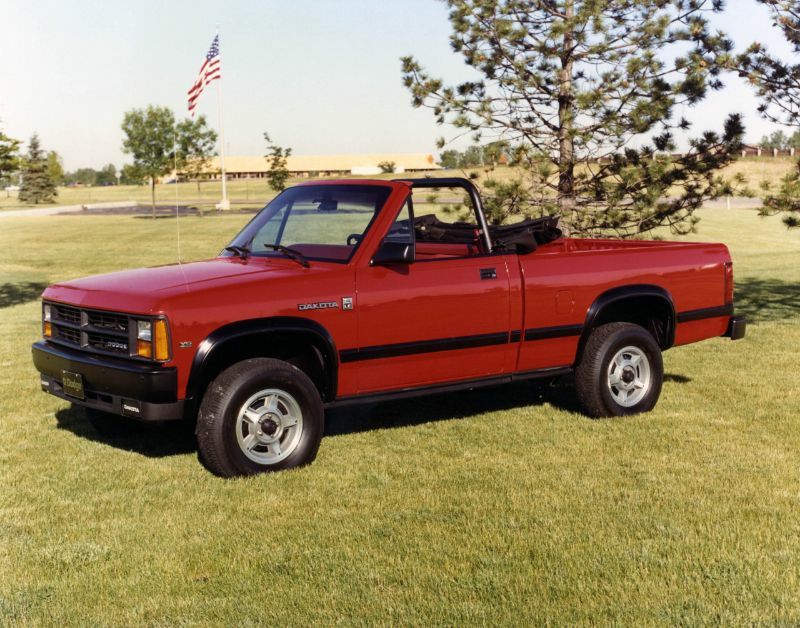 The 1989 Dakota Convertible was actually remarkably similar to the non-convertible versions of this pickup truck. It had a simple manual top along with a fixed roll bar to set it apart. Like other Dakotas of the year, the convertible was available with 4×4 for those who wanted it. The standard configuration for 1989 Dakota Convertibles was the 3.9-liter V6 engine, either two-wheel or four-wheel drive, and the choice of a 5-speed manual or a 4-speed automatic transmission. A 4-cylinder version was available the following year. Since the 1989 Dakota Convertible was incredibly similar to the regular Dakota, you can get a better feel for this unique pickup by looking at the Dakota as a whole. The 1989 Dakota was part of the first generation and let drivers choose from a 6-foot bed and an 8-foot bed. The 3.9-liter V6 had fuel injection, which had been added in 1988. It used an N-body platform that was created to account for the lack of features and size in compact pickups of the time that were inspired by Japan; Americans wanted larger autos. When creating the Dakota, the person in charge of Chrysler product planning, Harold K. Sperlich, encouraged the N-Body team to reuse components when creating the Dakota, leading to investment efficiency. The first-generation Dakota also offered luxuries, like chrome bars on the bed and an AM/FM stereo with a cassette player. It also had the choice of a CD player, leather seats, chrome bumpers, Infinity sound, and a sunroof. 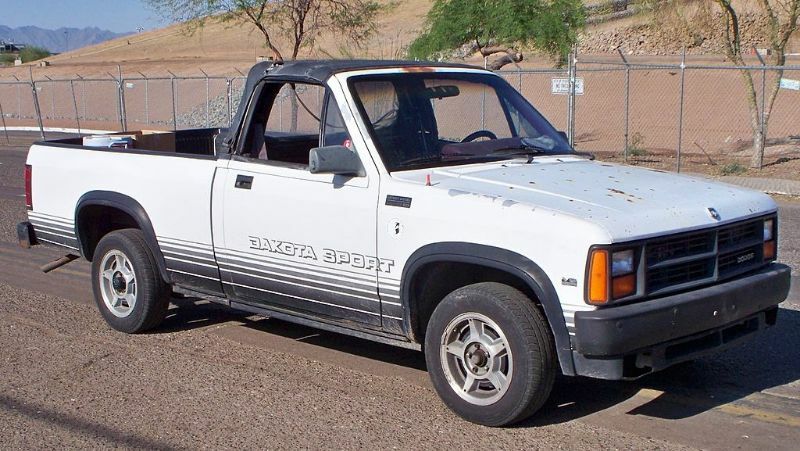 Given the relatively small numbers of Dodge Dakota Convertibles produced and sold, it is actually easier than most would expect to find one of these autos for sale. Yet you will still have to look for a while. As of early 2017, the prices ranged from about $1,500 to about $10,000, depending on condition and other factors. Also, keep in mind that its drivers agree that it is among the leakiest tops you will find.